The march of progress has given us much, but we can be thankful for the unspoiled reminder of a simpler time the North Fork provides: peaceful, vast agrarian fields, small shops and friendly faces. This is exactly the sort of lofty, romantic thought you’ll have after a visit to a few of NoFo’s famous wineries. But before you go unleashing your inner poet, there’s a lot more to see (and probably a cab ride you should arrange). The gateway to the East End has character, grit and plenty to do. For those piling the kids into the SUV for some family time, the Long Island Aquarium offers close encounters with otters, penguins, exotic fish and even snow monkeys. 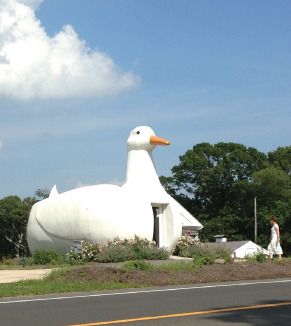 You should probably take the kids to The Big Duck on the edge of Sears-Bellows County Park while you’re in the area too, because…well, because there’s a really big duck there. The town itself hums with a funky working-class energy at distinct odds with the upscale areas to its east. Exhibit A: The annual Cardboard Boat Race, delivering exactly what it promises. Exhibit B: The East End Arts Council. The larger-than-it-looks-on-the-outside gallery tucked inside a small house on Main Street offers that Riverhead funkiness in a quiet atmosphere. The vibe comes deep fried and slathered in sauce at Spicy’s, where shouting your order over the bank of fans makes the barbecue that much sweeter. Still not full? Tuck into The Texas sandwich massacre at Cody’s BBQ & Grill (made with four kinds of meat!) or step out onto the back patio for some live music and sunshine. The feel-good Riverhead vibe will ring clear. All of this eating can be worked off with a little retail therapy at the Tanger Outlets near the Long Island Expressway end of Main Street. Here the endless rows of grapes bend toward the sun. Here the North Fork wine country truly begins. 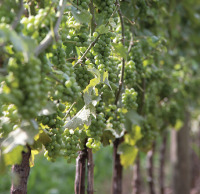 There are as many wineries in this town as there are variations of wine. Upscale vintners share equal billing with rustic mom and pop operations, but look beyond all this and find a town with a very old soul. Colonial-era homes dot the streets to make for a quaint bike ride or walk. Stop into the shops along Main Street, enjoy a sandwich from the Grateful Deli or meander the sidewalks and enjoy time passing by. 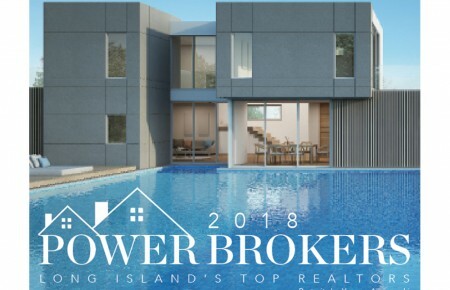 Visitors who possess the coveted town pass can head south and enjoy a stretch of quiet coastline with a view of the luxurious manors of Shelter Island and beyond. Dig into the sands just a few feet offshore and be rewarded with a clutch of tasty clams. Holding court at the end of a stretch of vineyard-spotted roads, Greenport is as close to a major town as the North Fork has to offer. Major towns not being the stock in trade of this region, Greenport is decidedly ￼low-key and therein lies its charm. History is showcased, but always built upon with the utmost taste. The antique carousel stands just as it has for a lifetime, but it is housed in an ultra-modern pavilion fronting the attractive waterfront. 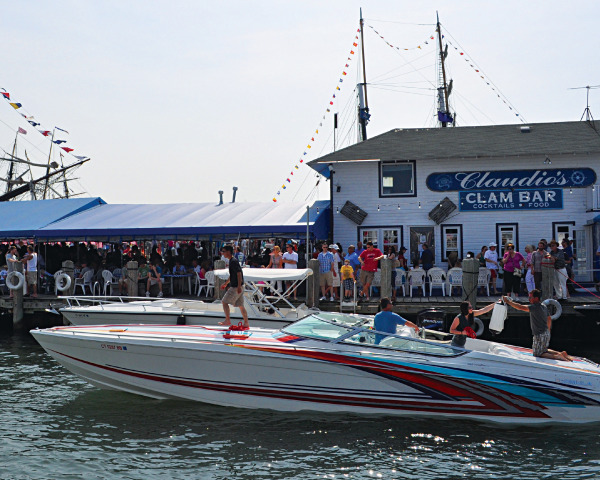 Caudio’s boasts of its speakeasy past, happily pointing out that boats used to float under the restaurant to enjoy contraband hooch, all while offering fine dining on the shoreline. All of this history couched in modernity informs the past-meets-present vibe of Greenport. The thought is completed by chic and cheery restaurants, a craft brewery, a few art galleries and shops. Sip a flight of innovative craft beers at Greenport Harbor Brewing Company. Wakesurf at Peconic Water Sports. It’s all the fun of wakeboarding, but with a complete disrespect for the laws of physics! Nosh on Oysters Friskafella at the Frisky Oyster (garlic, chipotle, parmigiano aioli…oh my).